FREE 12 month warranty on all clear WDI inspections! Purchasing your home is a complicated and exciting process! 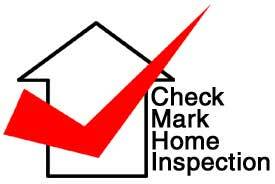 We at CHECK MARK HOME INSPECTION are here to serve you, remove the stress, and make the process easier for you. We believe you deserve to BE AN INFORMED HOME BUYER, and HAVE PEACE OF MIND. HOME INSPECTOR John Ellis will give you valuable information about the condition of your new home that helps you decide what to do and what is needed next in this process. At Check Mark Home Inspection, our goal is to provide you with accurate, timely information about the condition of the property / home you hire us to inspect. After your inspection is complete, your HOME INSPECTOR will give you your HOME INSPECTION REPORT on the spot & also verbal explanations of findings, on the spot - no waiting! John will give you a clear understanding of the condition of the property. Your HOME iNSPECTOR John Ellis will also take photographs of all of the problem areas he finds, which will become a part of your Inspection Report. These photos are valuable tools for your Realtor, your bank, any repairmen, and any negotiations you may do as a result of these findings in your HOME INSPECTION. We are a VALUABLE RESOURCE to you! We will give your prospective home a THOROUGH AND KNOWLEDGEABLE professional home inspection. Backed by 25+ years EXPERIENCE in the home building industries, service and integrity, our HOME INSPECTOR works for you! You are invited to be present at your Home Inspection and to ask your Home Inspector questions. You will be given a very helpful "user friendly" verbal explanation of your Home Inspection report and all findings will be explained by your Professional Real Estate Home Inspector, JOHN ELLIS Check Mark Home Inspection DFW Metroplex. We want you to fully understand your Home Inspection results and to have peace of mind and wisdom about your new home. That's why your Home Inspector will give you written tips for care of your new home as well as verbal tips according to the specific findings at your new home. Did you know that a WDI inspection is required by VA, FHA, HUD, and many banks? We are liscenced to do your WDI inspection at the same time as your HOME INSPECTION. + Highest level licenseing by TREC - License #5829. + Over 25 years experience in home building industries. + Licensed with the Texas Real Estate Commission. * Ask about our FREE 1 year Termite Warranty offer! + Member Greater Lewisville Association of Realtors. + Up-to-date on Standards of Practice. * Thousands of homes inspected = Experience! * Written Reports & Verbal Explanations Given On The Spot - NO WAITING! * We answer phones 24/7 - CALL ANYTIME! * Inspection from FOUNDATION to ROOF & ATTIC. * ELECTRICAL Panels and branch circuits - PLUMBING systems and fixtures - STRUCTURAL - MECHANICAL - APPLIANCES - FIXTURES - FIREPLACE - HEATING & AIR CONDITIONING systems - LOAD BEARING WALLS - GRADING AND DRAINAGE, ROOF cover and structure - FOUNDATION - DOORS & WINDOWS interior and exterior - ATTIC Ventilation and Structure - FLOORS and CEILINGS - GARAGE & GARAGE DOOR OPENERS - SPRINKLER SYSTEM - GAS service outlets - SPA & SWIMMING POOL - etc. Addison, Allen, Anna, Argyle, Arlington, Aubrey, Balch Springs, Benbrook, Bedford, Blue Mound, Burleson, Carrollton, Celina, Colleyville, Coppell, Copper Canyon, Corinth, greater Dallas, Denton, Double Oak, Duncanville, Euless, Fairview, Farmers Branch, Farmersville, Fate, Flower Mound, greater Fort Worth, Frisco, Garland, Grand Prarie, Grapevine, Haltom City, Haslet, Hebron, Highland Park, Highland Village, Hutchins, Irving, Keller, Krugerville, Krum, Lake Dallas, Lancaster, Las Colinas, Lewisville, Little Elm, Lucas, McKinney, Melissa, Mesquite, Murphy, North Richland Hills, Oak Point, Paloma Creek, Parker, Pilot Point, Plano, Ponder, Princeton, Prosper, Providence Village, Richardson, Roanoke, Rockwall, Rowlett, Sachse, Saginaw, Sanger, Savannah, Shady Shores, Southlake, Sunnyvale, The Colony, Trophy Club, University Park, Valley Ranch, Watauga, Westlake, Wylie, etc. Friendly Office Manager / Dispatcher "SHARON" will be glad to help you! Did you need a WDI Termite Inspection at the same time as your Home Inspection? Don't forget to ask about our Free 1 year termite warranty! Would you like our Free Security Alarm system check at time of Home Inspection? YOUR PERSONAL WRITTEN REPORT GIVEN TO YOU AT INSPECTION - NO WAITING !! Kitchen appliances - Bathrooms - Garage Door - etc. Please call our friendly Dispatcher and Office Manager "Sharon" to set up your appointment date and time. Sharon will ask you a few simple questions about your new home - including - What is the the square footage? - Does it have a pool? Sprinkler? Is it a pier and beam or slab foundation? Occupied? Vacant? This allows us to schedule the Home Inspector with adequate time to give you a very thorough inspection. we want this to be a pleasant experience for you.